In the midst of one of the worst winters Chicago has seen in years, the body of missing teenager Ella Reynolds is discovered under the surface of a frozen lake. She's been missing for three weeks… the lake froze over three months ago. Detective Sam Porter and his team are brought in to investigate but it's not long before another girl goes missing. The press believes the serial killer, Anson Bishop, has struck again but Porter knows differently. The deaths are too different, there's a new killer on the loose. As more girls go missing and Porter's team race to stop the body count rising, Porter disappears to track down Bishop's mother and discover that the only place scarier than the mind of a serial killer is the mind of the mother from which he came. 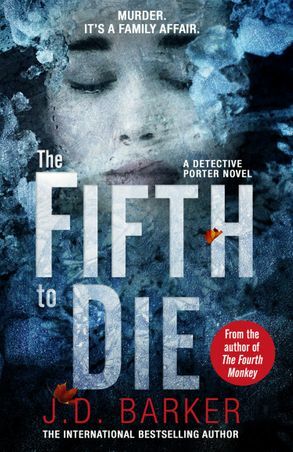 Perfect for fans of Helen Fields, Val McDermid and Jo Nesbo this gripping and twisted thriller will have you wondering, how do you stop a killer when he's been trained from birth?